An apex court bench headed by Chief Justice R.M. Lodha, has reportedly issued a notice to former Supreme Court judge and current Chairman of the National Green Tribunal Swatanter Kumar, from an intern who had sought transfer of his defamation suit against her from Delhi High Court. The Bench asked senior advocate K.K. Venugopal to file a response within four weeks. No interim order was passed after Venugopal told the bench that he will seek adjournment in the case (before HC) in view of the transfer petition of the intern pending in the Supreme Court. Senior advocate Indira Jaising contended that when a judge becomes litigant in the same court, the matter must be heard in another court. The Bench responded by stating, "We will have to go by the likelihood of the girl's apprehensions. Not only must Justice be done, it must also be seen to be done." Livelaw had reported earlier that the woman lawyer has demanded transfer of case out of Delhi. She demanded the transfer to Bangalore’s City Civil Court because of retired judge’s status in the legal fraternity. She claimed that she was rendered a subordinate position in view of the institutional bias working in his favor. The petition filed by advocate Anindita Pujari says that the gravity of the offence and the stature andinstitutional position occupied by the respondent were made grounds for pleading the transfer. The Petition demanded the transfer of case to Bangalore’s City Civil Court because the female lawyer “has absolutely no chance of equal or near equal legal representation in Delhi and hence a fair trial will be jeopardized” and she “genuinely apprehends that she will not get fair trial in the Delhi High Court”. Read the petition here. 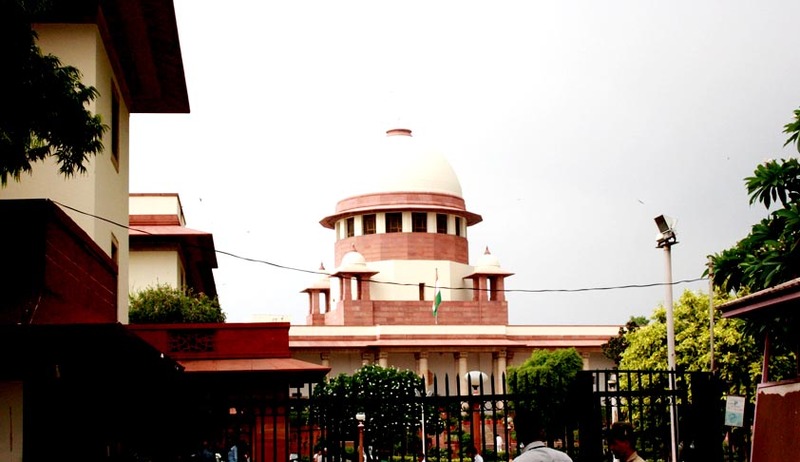 Delhi High Court, on May 22, had observed that its Order in Ex-SC Judge’s Defamation Case is violated as the media deliberately published and telecasted the allegations against former Supreme Court Judge Swatanter Kumar. Order dated 16-01-2014 restrained the media from publishing and telecasting the contents of the law intern’s complaint of sexual harassment against him. Read Live Law Report here. The order apparently has permitted the fair reporting of court proceedings, and legally there is no bar in reproducing the order of the Court. In the present case, order itself has reproduced the allegations, and in such circumstances the media is likely to take refuge under the protection of fair reporting. Read the Live Law Report here. While posting the case to May 22nd, Delhi High Court has said that the defamation suit filed by former Supreme Court judge Swatanter Kumar will not be heard, until the plea for transfer of the case to Bangalore City Civil Court is decided by the Supreme Court. Read Live Law Report here. Read more news regarding the case here.